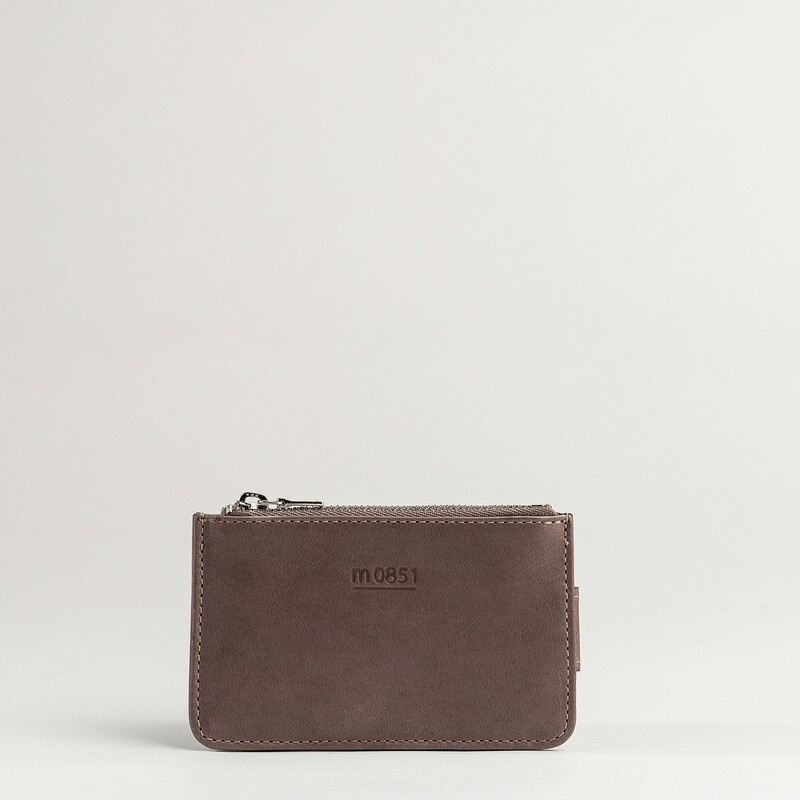 Front Pocket Wallet in Aniline leather. 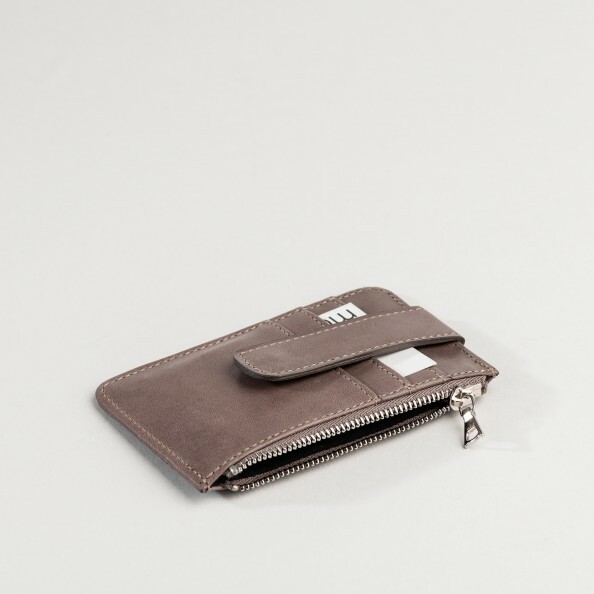 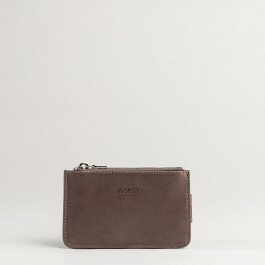 Three card slots with leather flap and snap. 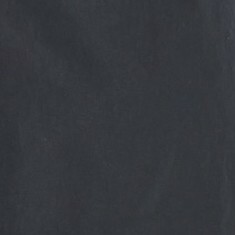 Central zipped pocket.